Some of my friends and family seem to be doing some soul-searching right now, too. Summer must be the time of rebirth this year, not spring. I was talking to Lindsay, one of my oldest writing pals from my creative writing classes in college. I told her how ConCarolinas made me want to go full time so badly, but how I knew I wasn’t ready. And she reminded me that’s fine. This is all temporary. It’s good to have a goal in sight, something to strive for. She’s absolutely right. It’s time to decide what I’m striving for. Then I read Write to Market by Chris Fox. This book took everything that had been percolating in my head and shook it up even more! market, you really have to pay your dues. So instead of being selfish and writing stuff like a weird post-apocalyptic scifi/fantasy genre mix (see below) right away, I should write what readers clearly want to read first. (While still writing in the genres I love.) That’ll allow me to build a fanbase in my genres of choice. Once I have a fanbase, then I can write more of the genre-bending stuff I love because they’ll trust me at that point. This is something Brandon Sanderson talks about, as well. He couldn’t have published Way of Kings as his first novel. To read a book that long, readers need to know and trust him first. But he’s bringing his existing fanbase to it. Same goes for plenty of other big-time authors you can name, who can write damn well whatever they please now that their careers have matured. Not that I think I’ll ever reach their heights, but MANY indie authors have proven you can make a living without being a household name. 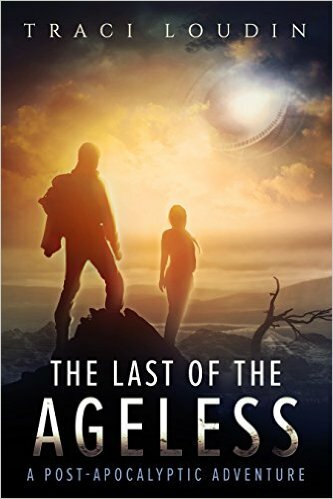 In reading Write to Market, I realized The Last of the Ageless doesn’t really fit in with most of the post-apocalyptic books out there today, which are now geared toward preppers and survivalists. When I was growing up, I loved Andre Norton’s Daybreak 2250 A.D. (Star Man’s Son) and James Axler’s Outlanders and Deathlands series, set long after the apocalypse happened, not in its immediate wake, with mutants and other fun scifi/fantasy crossing elements. The Last of the Ageless is written in that vein. It’s selfishly written for younger Traci. Interestingly, The Last of the Ageless fits more of the Sword & Sorcery tropes than Post-Apocalyptic, at least by the current Amazon market. So I’ve recently recategorized it as both S&S and PA on Amazon. We’ll see what happens now that it’s in a variety of science fiction and fantasy subgenres. The trouble with reading Write to Market now is that I’d already finished writing Book 1 of my new series. But I have a plan! In order to make my Rifts of Renjian series fit the Write to Market model, I studied epic fantasy tropes and rewrote my entire series outline. The outline now fits the epic fantasy market tropes very well. Unfortunately, epic fantasy is a very saturated market, but I’m going to face it head-on! The other problem is that the best way to Write to Market is to publish quickly, something I haven’t been good at so far. I have a plan to pull in my timelines some, which I’ll mention later. I’m now doing a quick third draft to strengthen the epic fantasy tropes that already existed in the first book. In this draft, I’ll also lay the foundation and foreshadowing for tropes that will appear later in the series. And in August, it’ll be ready for beta readers! The other day I rewrote large sections of my business plan and added a philosophy section. I decided that in the next seven years, I’m going to strive to have eight books published. I’ll at least have five published if I continue at my current plodding pace with minor adjustments. I also decided I want to be able to quit my day job and write full time by 2022. Whoa! Putting a date on it like that is scary, but if I’m going to take this seriously, I need to have a tangible goal. An important aspect of all this is how to maximize the number of publishable words I have on the page each day. Which means I need to cut the fluff. I’m already slim enough in my personal life… I rarely watch TV or play video games anymore, not to mention spend time with my husband! So where will this extra time come from? First, by prioritizing when I chase certain career goals, like being a panelist at conventions. ConCarolinas declined my application as a panelist and bookseller, and that helped me reach this conclusion. Spending money going to conventions isn’t worth it with only a few books out, and I won’t have four books out until at least 2019 if I continue at this pace… it’s tough as a day-jobber! Chasing bookstores and libraries and awards isn’t worth it right now either. Or any number of other things I managed to collect into a marvelously sized marketing plan. Many marketing techniques only work when you have a host of products, which I do not. So chasing them now only impedes my efforts to make more product. Crazy! Another way I plan to get additional time toward writing is to delegate. I’m currently experimenting with hiring out tasks to virtual assistants in an effort to maximize the time I spend writing and editing. Basically, I’m OK with the idea of flying under the radar for the next five years or so while I get a broader catalog of books to my name, which will ultimately pay off in the long run. So my career plan starts off slowly because I’m writing long epic fantasies while working a day job… lengthy books, short on time! In the next seven years, I plan to have eight books published before I quit my day job in 2022. From there, I guesstimate at least another ten years of writing to market (paying my dues) and publishing much faster, perhaps three to four books a year depending on the genre. By then I hope to have a pretty nice following where I can write more cross-genre science fiction and fantasy! Who knows, by then cross-genre may actually BE the market. And by retirement age, I’d like to have at least 60 published books to my name. You hear that, universe? Now let’s make it happen… Back to the third draft of my new epic fantasy! If you’d like to help me reach my career goals and get a backstage pass to what I’m up to, join the Ardent Alliance! Interesting! I don’t have anything like this well thought out of a plan. I have written short stories with a market in mind, but other than hoping that the superhero train hadn’t already completely passed . . .I wasn’t thinking about markets at all when I began my series (2 books out, third out next year). I was thinking about writing that book I want to read and can’t seem to find. Like you, though, I *do* want to go full time as a writer, but I’ve also accepted that it will take me several years to get there, and that it might actually be a better choice for me to go half time, keeping a half time day job. I’m very productive within my limited hours, and I think part of the reason for this is because my hours are limited. More hours does not automatically equal more words written if I don’t have focus and concentration during those hours. Congrats on thinking all this through for yourself and I hope that your plans come to fruition! I definitely wasn’t thinking about markets at all when I wrote TLOTA, The Century, or my current WIP. I wrote TLOTA like you said, as a book that I wanted to read…Which is what I’ll continue to do with all the books I write, but I’ll ALSO be paying more attention to the market and determining what tropes to strengthen and what to avoid. For instance, I wish I’d discovered Write to Market before I’d started writing my WIP. It would’ve saved me a lot of wasted time outlining an epic fantasy involving aliens that breaks all kinds of tropes and leaves readers from both genres disappointed! Luckily I still have time to turn it around, though I don’t know how well I’ll do in such a competitive category. I’ve wondered the same thing about limited hours… which is why I want to make the most of the ones I’ve got, right now, and become disciplined now. By the time 2022 rolls around, I’m sure I’ll have a plan to help me stay disciplined and motivated without the artificial time limits imposed by a day job. At least, I hope! I’m not actually sure I’ll even write more, but it will leave more time for all the stuff I’m currently cutting out… most of my marketing efforts, etc.